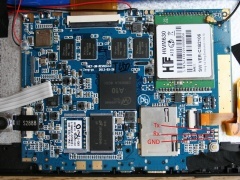 The iNet 3W tablet comes with a WCDMA modem and a SIM card port. The device is supported and maintained in mainline U-Boot. There is no mainstream kernel support at this point. Linux (sunxi-3.4 branch) boots on the device, but most features are untested. For building U-Boot, use the iNet_3W target. For building mainline U-Boot, use the iNet_3W target. The reset button (on the PCB) reboots the device. 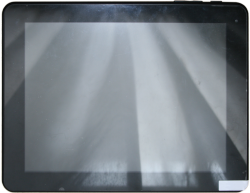 The UART pads are exposed in a very visible way on the PCB, close to the touchscreen connector. The pads are clearly labeled on the PCB: GND, Rx, Tx. Connectors can easily be soldered according to the UART howto. This page was last modified on 12 April 2015, at 16:15.